One of the most popular and best received of all the shows on the sea is expanding once again. The Legends in Concert show onboard the Norwegian Epic has been a firm favourite with cruise passengers since the ship launched and as a result, Norwegian Cruise Line have continued to add new legends to the show. 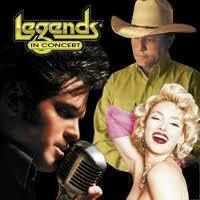 The three new legends joining the current line up include Janet Jackson, Neil Diamond and Aretha Franklin. The addition of these legends is sure to thrill music lovers cruising on the Epic as they have the opportunity to hear a huge selection of different sounds. The Legends in Concert has been a staple show in Las Vegas for over quarter of a century now and it is well known to be a pioneering, live tribute show. With new legends being created all the time, the show is kept fresh and lively and always has something new to offer. The singers performing as their chosen stars come from all walks of life, and often have very little formal training. Their natural talent shines through as they perform and it is clear how much time each act has put in to achieve such a likeness to their star. As this show is such a popular one, you should make sure you book your ticket early to avoid disappointment. Although don’t be too disheartened if you miss out, the Norwegian Epic cruise ship is known for it’s huge selection of onboard entertainment so you can rest assured that you will find something fun to do onboard.